Several authors have urged a return to what I call “shared church.” But their books don’t appear on best-seller lists, and few Christ-followers know about them. This blog is the second on such books. How Should “Trinity” Shape the Church? 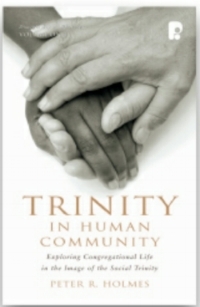 In Trinity in Human Community, Peter R. Holmes explains how. His subtitle, Exploring Congregational Life in the Image of the Social Trinity, offers a hint. God, he says, is a social, relational Being. This truth should mold the way we meet and interact in our churches. The insights of Augustine, Holmes believes, need to be counterbalanced with those of his Eastern-Church contemporaries, the Cappadocian Fathers—Gregory of Nyssa, Gregory Nazianzus, and Basil the Great. Although we should not see them through rose-colored glasses, the Cappadocians offer an understanding of God we have missed: perichoresis. This means that God the Father, Son, and Holy Spirit have always lived in intimate social relationship, mutually indwelling each other. As Jesus said, “I am in the Father and the Father is in me” (Jn. 14:11). In other words, God himself is, lives, and loves as a Community. CCD has not built or bought a building. “We decided that would not put money into buildings, but into people.” So their homes serve as their primary meeting-places. As the congregation grew, they rented or leased space when they needed more room for special events. Should We Meet to Worship, or . . . ? A core teaching in the CCD community comes from God’s word to the community of Israel after their exodus from Egypt: “I am the Lord, who heals you” (Ex. 15:26). In Hebrew, that word for heals is rapha, which means “to stitch together.” God wants to stitch his people back together from being ripped apart by such things as our bent to sinning, our inability to find God, and our being held captive by external forces. 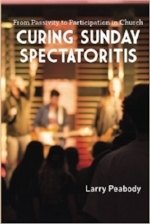 So the whole body of believers, as each part does its work, becomes a therapeutic community.